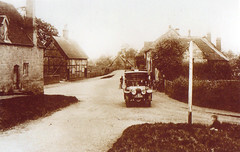 The location of Stoneleigh at the point where early north-south routes crossed the River Sowe has contributed greatly to the development of the village. Bronze Age features have been identified close by, and the name of Motslow Hill echoes the old word “moot” or “meeting place” ; it was the site of a Hundred Court in medieval times. It is possible that the hilltop was a fortified place long before people moved into the valley below, and stone from its quarry was used to build the church and almshouses. By the time of the Domesday survey in 1086 there were two priests in the parish, though nothing now remains of their church. The manor then possessed two mills and four miles of woodland. However it was the arrival of Cistercian monks who founded Stoneleigh Abbey in the middle of the twelfth century which made the greatest mark on the character of the village in centuries to come. 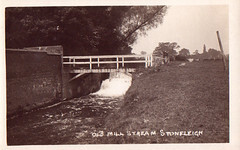 Many trades would have been practised in Stoneleigh during the Middle Ages; there were at least six fulling mills in the area for processing cloth for the merchants of Coventry. This procedure involved steeping the cloth in vats of urine which was apparently collected in pots put out in the village street! There were also two tanners and a gunsmith, together with other local craftsmen not least of whom was the village blacksmith – there has probably been a smithy on the village green since the turn of the sixteenth century, though the present building dates from 1851. 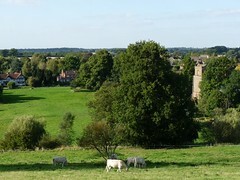 After the Dissolution of the Monasteries by King Henry VIII, nearby Stoneleigh Abbey became a ruin until in 1538 it was granted to Charles Brandon, Duke of Suffolk. By 1561, however, it was in the ownership of Sir Thomas Leigh and for the next four centuries the Leigh Estate was to have a huge impact on the village, the Leigh family providing work, accommodation and education for local people. The development of the Estate into a thriving agricultural community during the sixteenth century led to the need for cottages for the workers. In 1597 there were 45 houses in Stoneleigh, many of which remain, though much altered,today. 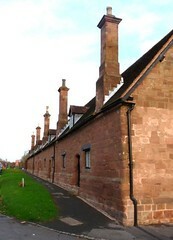 Sir Thomas Leigh’s widow, Dame Alice, built the almshouses which stand to one side of the village green and carry the date 1594. Stoneleigh School was endowed by two legacies from the Leigh family in the first part of the eighteenth century and is believed to have been built between 1741 and 1743. At its peak more than 150 pupils from a wide area were educated there, all of them walking to school! One of its famous pupils was Sir Henry Parkes who was born in 1815 and later became Premier of New South Wales five times in the twenty years from 1871. 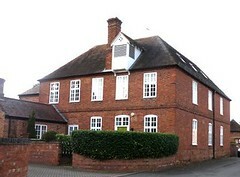 All of the Leigh family took an interest in the school, frequently visiting and inspecting it. Additionally in 1856 a Reading Room to promote knowledge and learning in the community was supported by the family, containing 750 volumes and newspapers. After the Second World War the number of school pupils steadily declined and ultimately in 1976 the school was closed, later being converted into apartments. On its playground were built new houses known as “School Bell Mews.” The Reading Room subsequently became the Village Club (see link). There were once several hostelries in the village, but now, sadly, there is no village pub at its heart. At the end of the nineteenth century Lord Leigh closed the pub in Birmingham Road and ordered that there should never be another, after cyclists from Coventry had whistled and called after one of the young Leigh girls. Famous visitors to Stoneleigh include Jane Austen the novelist, whose mother’s cousin inherited Stoneleigh Abbey in 1806. 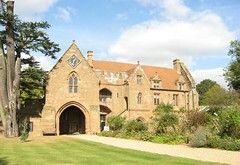 Her visit to the Abbey influenced her writing considerably, notably in Northanger Abbey and Persuasion, but most particularly in Mansfield Park where Sotherton Court seems to be based on Stoneleigh Abbey. Royal visitors Queen Victoria and Prince Albert the Prince Consort stayed at Stoneleigh Abbey for three days in 1858 and their stay was the occasion for great festivity, with huge crowds assembling to greet the monarch. By the start of the twentieth century, after a period of agricultural depression and unrest, change was beginning to affect our rural community. Many young men answered the call to arms in both World Wars and many more took their families to the industrial centres of Coventry or Birmingham where wages were higher and the attraction of life in an estate village was less easily visible. 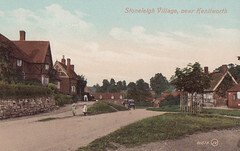 Nevertheless new housing developments took place in the village and people from outside came to live in Stoneleigh. After 1979 when Lord Rupert Leigh died, large sums of money had to be found for death duties and as cottages became vacant they were sold on the open market. Until relatively recently Stoneleigh boasted a school, a garage, a Co-Op Stores and a Post Office. Unfortunately these facilities no longer exist. 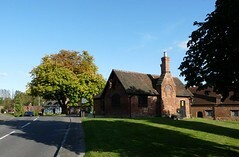 Nevertheless, the Village Hall and Playing Fields were given to the village by the Right Honourable John Piers the Baron Leigh in 1990 and many community activities take place there. For the past half century the Royal Agricultural Society of England (RASE) has made its headquarters at Stoneleigh and brought international fame to this corner of Warwickshire as the home, until 2009, of the Royal Show. It still provides hundreds of jobs locally as the host venue for many national companies, and manages much of the surrounding countryside. More detailed accounts of the history of Stoneleigh and its interesting old buildings are available in our church.